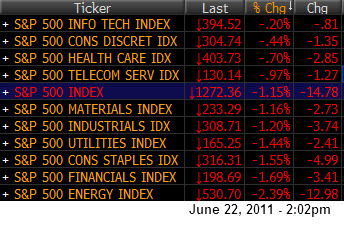 Let’s start off simply; It was obvious that early on, the day was not going to start well for equity markets. 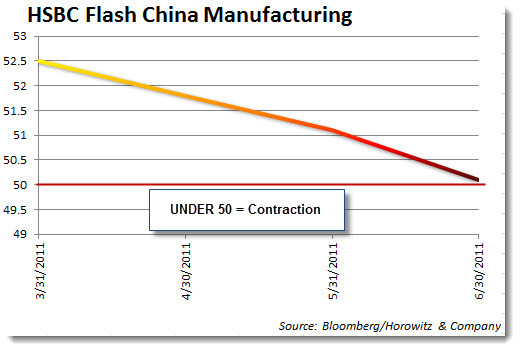 The Flash PMI number out for China was disconcerting. 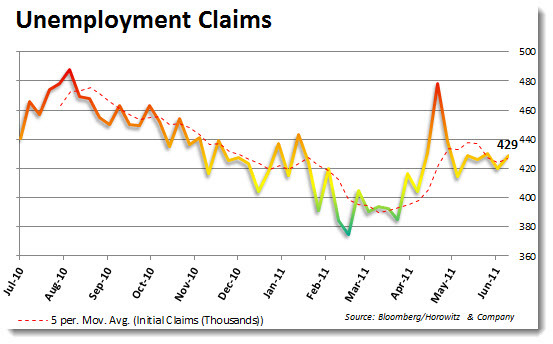 A reading of under 50 will show a contracting economy and the release was expected to show a number north of 51. But, the actual number was 50.1, just above the worrisome 50 level. This confirms what most have been seeing… the efforts of China’s government to corral in the expansion as they are very work to cool an overheating economy is working. However, this is not what the rest of the world wants to see as China has been one of the key drivers of the global recovery. A slowdown for them will assuredly cause a slowdown for the rest of the world. European Central Bank President Jean-Claude Trichet said risk signals for financial stability in the euro area are flashing “red” as the debt crisis threatens to infect banks. “On a personal basis I would say `yes, it is red‘,” Trichet said after a meeting of the European Systemic Risk Board, referring to the group‘s planned “dashboard” to monitor risks. “The message of the board is that” the link between debt problems and banks “is the most serious threat to financial stability. Usually, Trichet is quite the positive spinmeister. But comments such as these, right on the heels of a less than optimistic outlook from Bernanke are not being taken well. The combo helped to push the Euro down again and the U.S. dollar higher. The move today for the U.S. Dollar was significant and helped to smack down commodities. 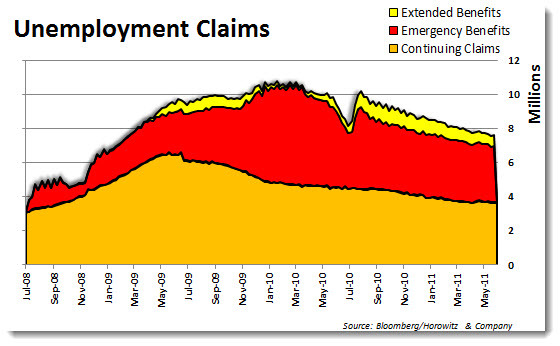 Of course the employment claims report did not help either. 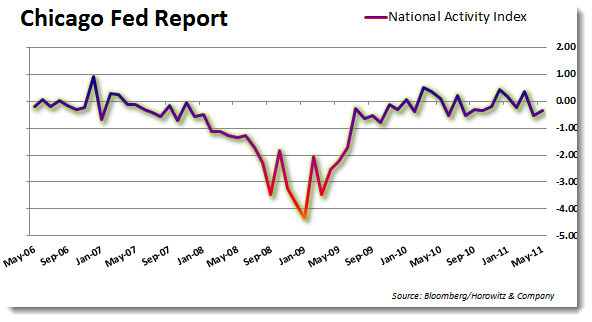 The 5-week average is still seen as an important level to show the trend and once again, claims are above. Finally, the Chicago National Activity Report provided one more piece of the puzzle that is helping to shape the outlook for the U.S. economy. The trend continues to be lower. With the demand for gas expected to rise in the upcoming summer driving season, President Obama made the surprise announcement today that his is releasing 30 million barrels from the U.S. Strategic Petroleum Reserve into the global oil markets over the next month. The U.S. is working with other members of the International Energy Agency, who will release an additional 30 million barrels and said that today‘s decision was made in “full consultation” with the major oil producing countries. So, with oil falling by 4% early on, traders were quick to start liquidating positions. The negative backdrop of Greece and slowing economics also provided fuel for investors to take a piece of risk off of the table. Of course there is always tomorrow…. With GDP’s third revision on tap and durable goods orders being reported at 8:30am, there will be plenty of market moving potential. Still, I wonder about how President Obama comes up with ideas…Is there really a shortage, and if there is, why are we giving our oil away to another country? HELP ME!